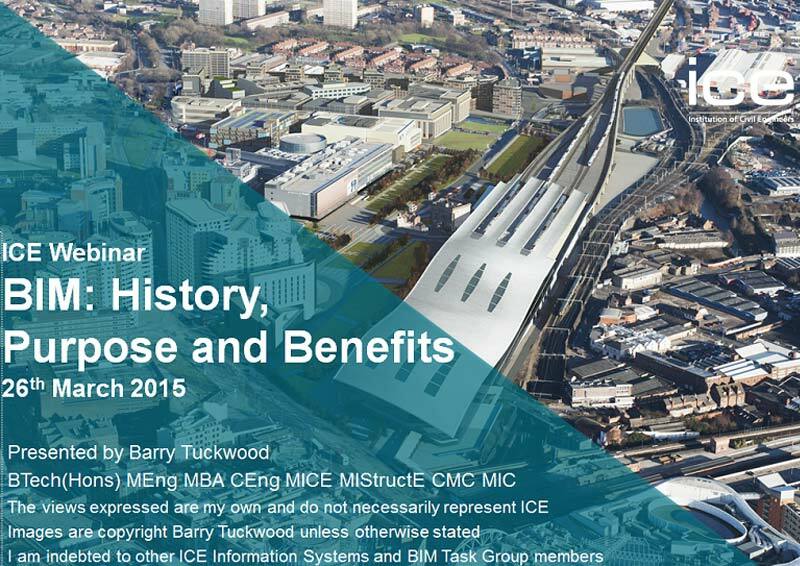 Watch this ICE webinar to see some real lessons of BIM application, and consider how you might apply them as client, consultant, contractor, or supplier for large and small projects, for new build and for long term facilities management. This webinar is designed to demonstrate the benefits available for the whole life of your buildings and infrastructure, and is relevant to you whether you are a client, a consultant, a contractor or supplier. Barry explains the key aspects of the BIM journey emphasising that the real need is for a culture change to enable shared data management for the whole life of the built environment. He finishes with case studies identifying the key benefits and successes available for small as well as large projects and outlines the lessons we can learn from these projects. Barry Tuckwood is an independent consultant and chartered engineer, a member of the Information System Panel and the BIM Task Group for the ICE.